I wanted to experiment with a bright palette. 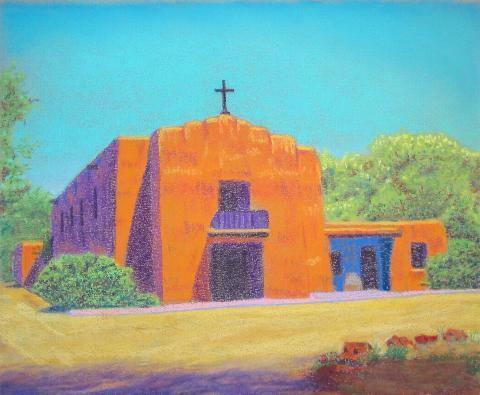 I feel this makes the adobe church look cheerful and welcoming. It is First Presbyterian located in Taos, New Mexico.